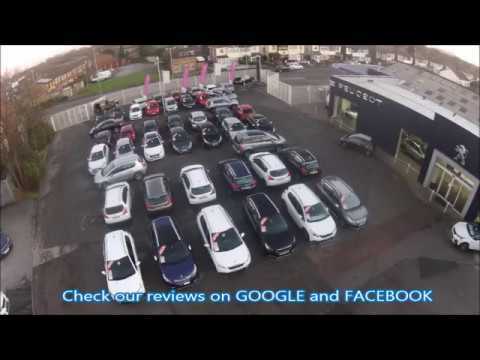 Free Vehicle Valuation Looking to sell your car? Enter your registration below, to get a free market valuation of your vehicle. Welcome to Booths of Ditton. At our showroom in Widnes, we are proud to be a trusted partner of the leading French marque – serving customer from across the local area, the North West and beyond with quality products and services at outstanding prices. It’s all part of the Booths of Ditton service. At our welcoming dealership, you can discover the full new range of Peugeot cars – ranging from the nimble 108 city car to the stylish 5008 people carrier. We’ve got something to suit all budgets and lifestyles – and you can rest assured that top quality comes as standard. If you’re not sure which model will work best for you, then you can ask our knowledgeable team – they’re on hand to help seven days a week. Are you a commercial customer? We’re here to help your business flourish. We provide the complete range of new Peugeot vans – and can service the needs of everyone from one-man-bands to transport managers looking for entire fleets. Hire purchase and contact hire are available. Already own a Peugeot? Then you might be interested in hearing about our aftersales services – available at highly competitive rates. These includes servicing, maintenance and repairs, as well as the full range of accessories for your Peugeot vehicle. Just leave it to the experts. If you’re looking to purchase a second-hand vehicle at a great price, then you’re in the right place. We stock a wide and ever-changing range of used cars, with all kinds of models available to suit your budget and circumstances. You can rest assured that all our pre-owned vehicles have Approved Used status – meaning they have been thoroughly checked by a manufacturer-trained technician before arriving on the forecourt. After all, your peace of mind is important to us, and we want you to drive away happy. Remember that we can also offer finance deals tailored to you, to make your purchase even more affordable. Why not browse our website to discover what Booths of Ditton can do for you today? Don’t forget to check out our special offers page to see our limited-time deals. Click here for our opening times, contact details and location map.